The director spent weeks walking through the streets, courtyards and dilapidated flats of Beijing with his hand-held camera, taking a close look at the lives and everyday world of five artists living on the margins of society. On the one hand, long shots, empty spaces and, on the other, bizarre cinema vérite, homing in closely on its human subjects, as well as personal interventions in the style of Marcel Ophül. 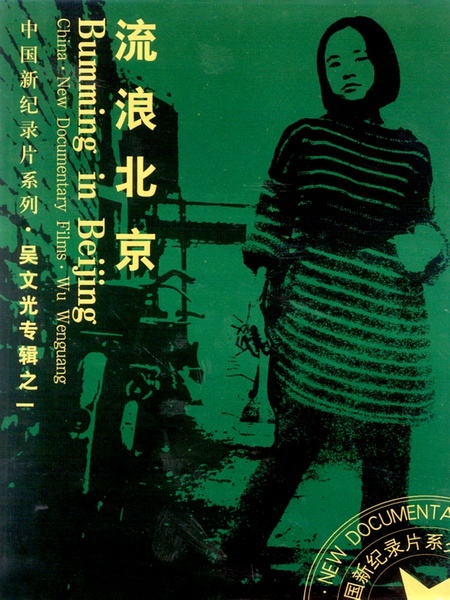 Bumming in Beijing offers a glimpse of China that would never have been tolerated in the past. Wu began filming shortly after the events at Tiananmen Square. The silence that is so striking at times is an implicit commentary on the destructive noise of the tanks at the square. It is no accident that four of the five artists portrayed here left their home country shortly afterwards. Film-maker Wu Wenguang belongs to a generation that has set itself the task of showing ways of living on the margins of legality – as in his two films that portray young artists who are staying in Beijing without a work permit. They feel that it is more important to determine their own lives than to live a secure, officially sanctioned existence. Great documentary , Please tell me where to see At Home In The World? Everything’s changed. The era we are currently living in seems lack of something pure and powerful. I mean economic development provides human a lot of benefits concerning about life,but only life. As increased middle class in china sending their kids to western, I believe one day the people on that land would do the same thing as westerners. We would lead a lifestyle full of cool , fancy stuff and gain the stable and secure status in the rest of our life. Is West the final stage of our society? It just seems like the only thing that can have an impact on human history course is technology, to make the world a better place,to produce more and beautiful. And that’s it. That’s the future we can see. We can not see Movements in art(though abundant), philosophy, literature,something rooted in human’s thoughts.We are all busy to make the world move faster and smooth, and individual happiness derived from high living standard becomes everybody’s pursuit.The world is becoming individual where every single person can produce something great like film, music, photograph but all fast-consumed, and forgotten. And those things have significant meaning to individuals but nothing to this world.It’s kind of weird to have a contrast with 20th century. I’m kind of trapped in this situation about the future of human beings. If this is really an end, I would feel more comfortable to do something that looks normal , if not, I wish someone could give me a direction or at least tell me how to find about doing something different, something with real passion and spirit strength. It’s just kind of boring to know the future is under control and no world event would ever happen.